This is the second of four installments about 24 Pre-thoughts, Middle-thoughts and After-thoughts on Chopin's epic 24 Preludes Op. 28. 7) Bach's Preludes and Fugues were conceived as a "study", an "exercise". One can argue that a few of Chopin preludes also sound as a kind of a "study". Both Bach and Chopin wrote these works as a labour of love for the keyboard, its keys, colors, sensualities, timbre and infinite potential. However, even-though some of Bach's Preludes and Fugues have inner-connections, as a whole, they were not thought of as one gigantic work to be performed as such. Chopin's Preludes on the other hand are inseparable. The more I play them, the more I feel how they are connected. They support each other, they rely on one another. Each prelude complement as well as contradict the previous one or the next one that follows. Put together side by side, they become a journey, a roller-coaster ride, or more poetically a symbol of the infinite diversity of the human spirit. on the other hand found them "admirable for their variety, the labour and learning with which they abound…appreciable only by the aid of a scrupulous examination; everything seems fresh, elastic, created at the impulse of the moment, abounding with that freedom of expression which is characteristic of works of genius." 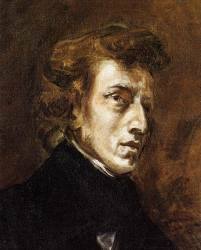 9) Chopin was a ground breaking pioneer not only with transforming the prelude into an independent entity, but also with the way and to the extent in which he freed the right hand from the left hand - or perhaps better to say the melody from the accompaniment. The art of great Chopin playing involves "a free walk (the melody) on a firm ground (the accompaniment, the pulse)", to quote the words of the great Artur Schnabel. 10) Harmonically speaking, Chopin was among those who lay the foundation for the break-up of tonality! Take for example Prelude no. 2 - the sense of tonal ambiguity is astounding. Not until the very last chord of the piece do we finally arrive at the home key of A minor, which has not been heard even once before. 11) Furthermore, harmonic analysis of the preludes can be tricky at best, useless many times. Prelude no. 4 is one of the most beautiful single pages of music ever written. Analyzing this prelude vertically, knowing the degree of each chord means not knowing much at all in regards to this masterpiece. 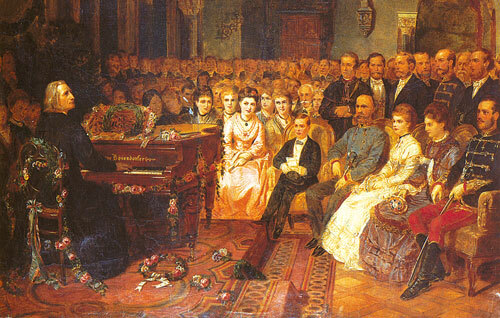 Chopin tells us that true harmonic understanding dates back a century or two - first and foremost to Bach or even prior, when figured bass and voice leading stood above all. 12) But maybe Chopin is trying to tell us that harmonic examination is not the way to approach this piece (and others as well). "Passing notes", "neighbor notes", "leading notes", all serve a much greater purpose. 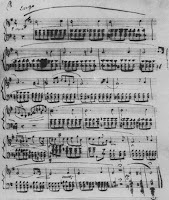 Chopin decided to write one of his most profound pieces when he reached the key of E minor in the cycle. This key used to symbolize the crucifixion in the Baroque era. Just as Bach's "Crucifixus" from the B minor Mass was written in E minor so was this prelude. 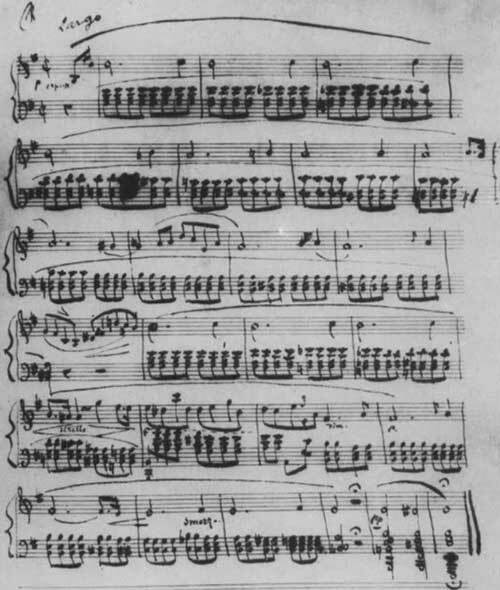 And just as Bach's music descends as if picturing the descent of Jesus into the grave, so does the notes in this prelude descend slowly and steadily. Slowly as if trying to cling to life, and steadily inexorably striding towards its ultimate faith and final breath. ...to be continued with Part III which includes yet another reaction to the Preludes: "Chopin's music is essentially unhealthy". Loved to read your writing. You make it as a journey in words through the music. This is a great addition to listening to the music.